To continue my Expert Advice series last week I stopped by to visit the the lovely Dr Haus to catch up on what’s hot in Harley Street right now. With the festive season upon us I asked Dr Haus if there was a quick pick me up to perk me up and to give me a glow just on time for the holiday season. As always the Dr had just the right solution and suggested that I try Sublime Skin Contouring. This is a quick 45 minute treatment that produces immediate results and most importantly no downtime is required. So effectively this can be done over a lunch time or indeed right after work. I was taken to the treatment room and my face was cleansed and some anaesthetic cream was applied to numb the chosen area to be treated which was my cheek and jawline. I was left to relax for 10 minutes for it to take effect. I was provided with a hair net and one I had this on some cooling ultra sound gel was applied to the area to be treated. The gel keeps the skin cool and optimises the effects of the bi-polar radio frequency. The objective was to stimuate collagen production by using a process that heats the dermal tissue, this is done by a combination of bi-polar radio frequency and light energy by elos technology. This technology by elos is a collaboration of brand leaders Syneron Candela. A probe rubbed in a upward motion over the area to be treated for approximately 20 minutes. It was for the most part relaxing with the odd stinging sensation. Once the skin is encouraged to produce more collagen then signs of ageing are reversed and a more youthful complexion is achieved. Mid way through the treatment Dr Haus handed me a mirror to show the lifting plumping effects that were immediately apparent. Of course as with all treatments the total number of treatments required and effects vary from person to person. Some notice that fine lines and wrinkles are reduced resulting in smoother firmer skin. After the treatment my face was cleansed and some La-Roche Possay Thermal Water £10 was applied which hydrates the skin and acts as a moisturiser. Afterwards Shinso essence now a firm cult favourite used by Jennifer Aniston, Charlize Theron, Drew Barrymore and Simon Cowell it’s no surprise that the Dr recommends Shinso Skin Care. Their serum uses water from one of the world’s purest sources, the Sea of Japan. It’s natural blend of 69 Japanese herbs and botanicals refines the skin’s texture and leaves the face more youthful and radiant. It also reduces the appearance of fine lines and wrinkles. It neutralizes age accelerating free radicles and repairs previously damaged skin cells. It can be applied to both the eye and face area and used twice daily, morning and evening. 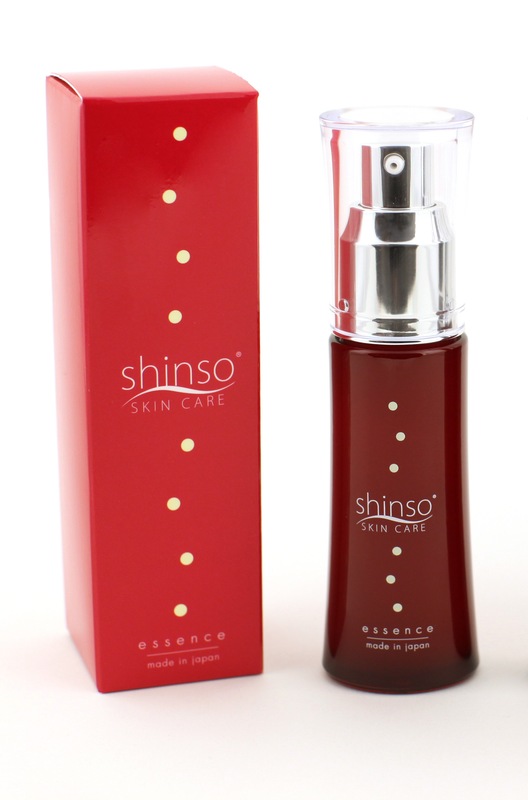 The Shinso Essence is oil, chemical, fragrance and paraben free and is available from Dr Haus’s Clinic for just £255. For me it felt like I had a very high tech facial with significant results so I think it’s well worth a try. Dr Haus recommends a course of 6 treatments over a period of 3-4 weeks. This treatment also works well on other areas including forehead furrows brow lines and a craggy neck. So a thoughtful Christmas gift idea for yourself or for someone you love ……. Next Next post: Better the Levi’s® Revel you know!